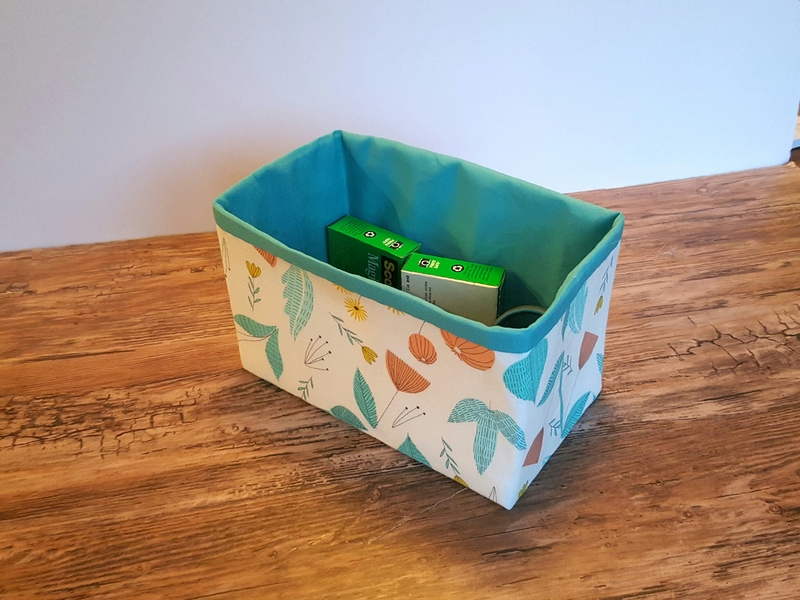 I ran across the pattern and this free tutorial for this fabric basket by Lillyella Stitchery months ago, and now that all my Christmas sewing is done, I decided to try it just for fun. 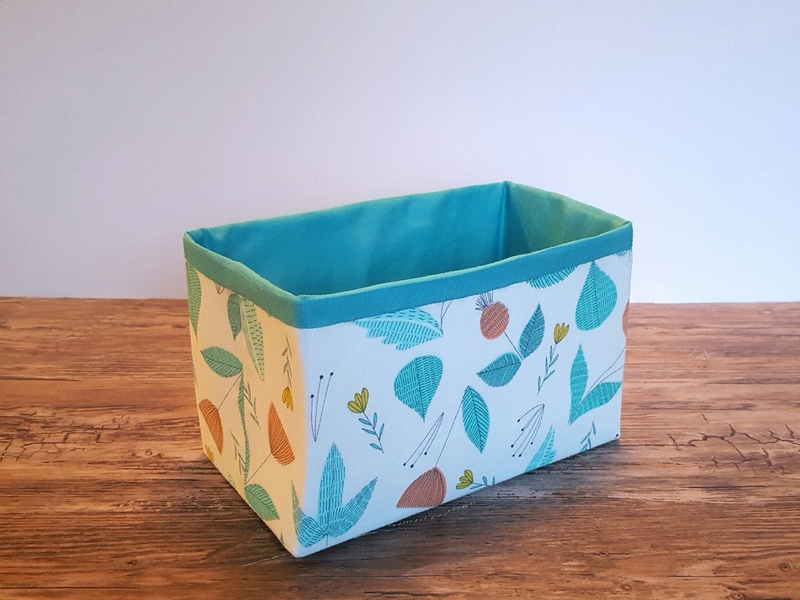 The basket is easy to put together, and the pattern instructions are easy to follow. I’ve never worked with Pellon before, though, and it was much more simple that I expected. 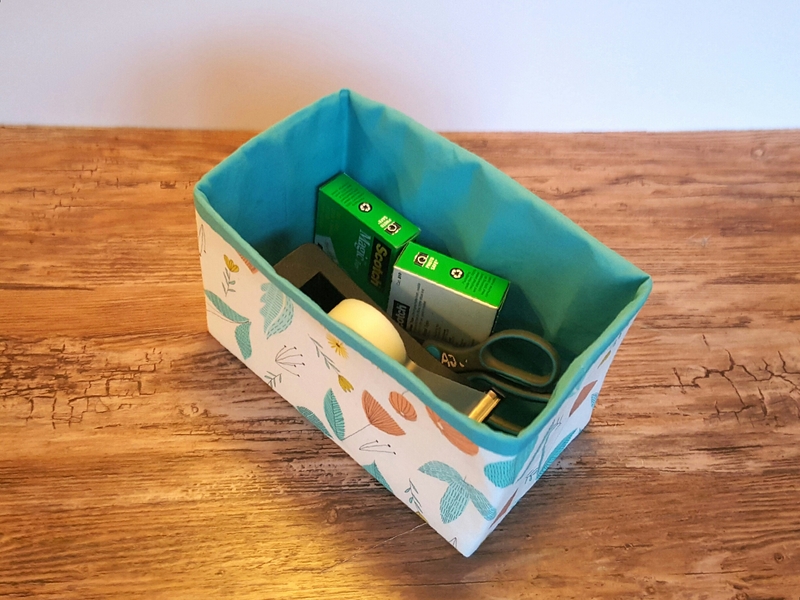 I decided to use this basket to store my pattern assembly supplies. My tape and scissors have the really bad habit of walking off and not making their way back to my sewing supplies. I think if I keep them all together where they’re not quite as visible, they won’t disappear as frequently. Power of positive thinking, right? If you’re interested in making some yourself, you can download the pattern for free from Craftsy HERE. Enjoy, and happy sewing! I am linking this project up with Amanda Jean of Crazy Mom Quilts for her Finish it up Friday (Monday) series. These would make great gifts! Thanks for sharing the link to the tutorial. You’re welcome! I have to admit that I am not a beginning sewer, but I was totally intimidated by using Pellon! Great basket; it looks very sturdy! Thank you, Penny! It seems to work really well. I didn’t put handles on it like the pattern has, and if I was going to store anything with substantial weight, I would definitely do so. 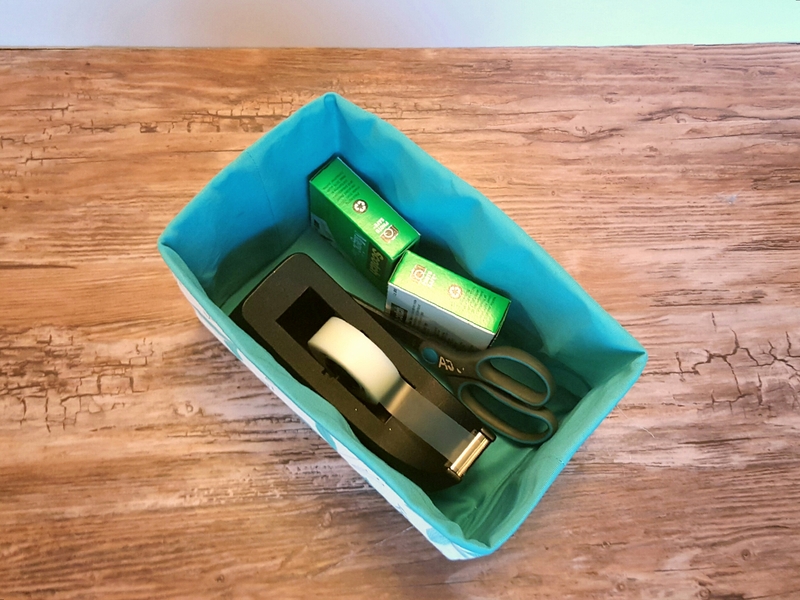 Otherwise, it is perfect for my tape and scissors. Pretty basket. Nice fabric choice! Thank you, Vera! 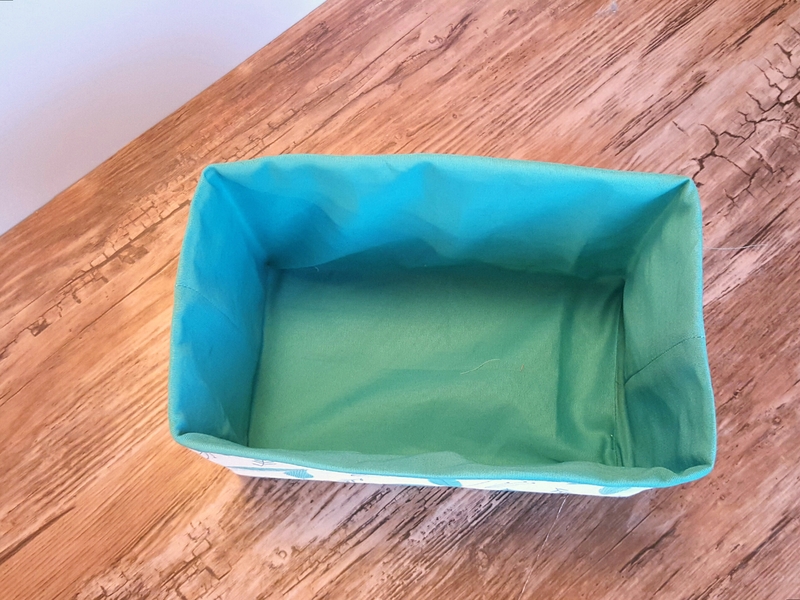 I received a low volume Fat Quarter Bundle as a giveaway, and the solid color is the plain sheet I recently used to back my youngest daughter’s Christmas Quilt. Oh isn’t that pretty! I love your fabric choices ? Merry Christmas and Happy New Year! 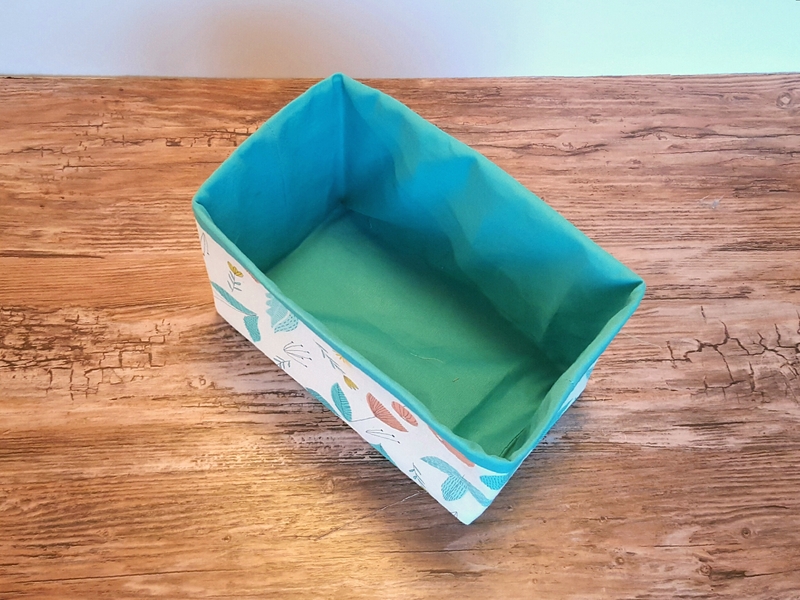 What a great looking basket…I may have to try to make one! Thank you, Caryl. It really was easy to make. I’m going to try upsizing it for a bigger storage bin. Ooh, now I know what to do with my leftover pieces of Pellon – thanks!